One cannot negate the fact that diamonds are one of the most valuable stones that exist in this world. They have an unsurpassable shine, sparkle, and brilliance. Nothing can beat the wondrous beauty of a diamond. Diamond are classic and make a timeless gift, but they are also perfect for those who admire simplicity. If you are one of those persons who are into minimalistic things, then diamond would be great for you. Be it a special event or a casual brunch, you can carry diamonds hassle-free which makes it perfect for every event. Which is why one should not have second thoughts when it comes to buying diamond necklace sets. They are available in all styles. Whether you are looking for a swanky diamond or a simple pendant which consist of a simple diamond stone hanging off of a chain, there are unlimited options when you look out for necklaces. It is obligatory to select the right diamond. If you are don’t have any idea about necklace shopping, then read this before getting your hands on the necklace. Nothing looks better than a classic traditional diamond necklace. This necklace consists of a diamond pendant on a metal chain. 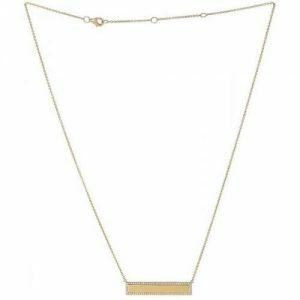 The classic necklace doesn’t go farther than the collarbone which makes it perfect for the simple and casual look. If you are thinking that’s it, then you also need to remember that one should never ignore grade of a diamond when choosing a classic piece. Always pick a diamond that is less than 1 in colour (traditional diamonds are more platinum than sparkling or multi-hued) and SI2 in clarity. These necklaces are perfect for ceremonial events because of their elegance and utility. If you want to buy it for your loved one as a gift, then no need to worry as they always make absolutely amazing gifts.Every girl likes to have gifts so be it your mother or girlfriend, you can make anyone happy with a classic necklace. The month of January is about to end and the month of love will come in few days thatin February.If you are looking for an incredible gift that will surely make your soul mate happy, then don’t hesitate in buying a diamond necklace. Make her happy with a classic necklace. Before giving her the gift, do not forget to write a short and sweet note on it so that when your partner open and read it, she cannot stop herself from thinking that how lucky she is to have you and she matters a lot in your life. We don’t give the diamond necklace to every other person, so giving a diamond necklace will itself reflect your love for the receiver. You can also find sellers that do Online export of diamonds. The only thing that can be flawlessly combined with a diamond is luxurious gemstones. The shine and brilliance of a diamond can be easily brought out by the natural shades of stones such as emerald, rubies, and amethyst. Necklaces that consist of both diamond and luxurious gemstones look terrific. These types of necklaces are truly gorgeous. There are no restrictions when it reaches uniting diamonds with gemstones. You can have a large diamond surrounded by little gemstones. You can have a cluster of diamonds which is paired up with gemstone, and even a cluster of diamonds and many gemstones. This type of necklace is impeccable for those who would like to add their preferred gemstone in a necklace. And if you still want to add more specifications then feel free to pair it with a birthstone. Doing this is suitable for those who follow astrology. Sometimes, astrologers suggest people wear some specific stones so that wearer can gain success and do not face any hurdles in his/her life. If you don’t like to wear just a stone, then pair it with a diamond which will make a lovely necklace or pendant. If you want to give it as a gift, then feel free to pair receiver’s birthstone with diamonds. Earlier people used to give diamonds only on special occasion because this stone is so expensive, the thing has not altered much, but nowadays, diamond necklaces are available in every range. The availability of various ranges has made easier for seekers to pick the most suitable one as per the budget. Considering the budget is really important because you do not want to buy a necklace by burning a hole in your pocket. The diamond cut basically represents the style and flair of the diamond. There are many factors that affect the diamond cut: symmetry, proportion, polish and shine too. While the diamond is one of the mostsignificanttraits when picking a necklace, many of us prefer diverse chain materials and lengths. Some would like to have a long chain that reaches to their navel while some of us prefer a really short chain that ends up above the chest. Decide first how often and when the necklace will be carried out. Short styles are favourable for official wear and longer styles are preeminent for casual. You can wear shirt chains to your workplace also because at offices most of us prefer to have minimalistic look that looks simple but elegant. A short chain along with a diamond will give you a classy look. And if you are going to reception or wedding and you are wearing a heavy gown and you don’t know which jewellery to pick, then feel free to wear that diamond pendant that you wear to your office as well. The simplicity of that pendant makes it suitable for every occasion. The material of the chain also plays an important role. We alllook out for a material that survives, so most customersopt for metal. Precious metals appear to be just as dazzling as the diamond itself. Go for gold, silver, or platinum chains. You can also pick a necklace where diamonds gratify the whole beauty of the chain. No matter what necklace you select, you will get your hands on the mostgracefuljewelleryin the marketplace. Whether you are buying the necklace to formal events or for everyday purpose, your diamond will look superb no matter where you are wearing it. Choose the best diamonds that shows longevity, durability and brilliance. Neither you nor anyone can negate the truth that technological innovations have certainly made our life easier and enhanced our standards of living. Do you really want to escape from the inconvenience of going out because of your jam-packed schedule? 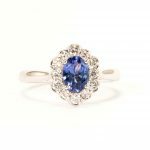 If you are one of that person who is so indulged in their professional and personal life that you don’t even get time to relax, then it would be great for you to rely on online jewellery stores. 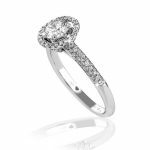 Rather than going from one massive store toanother one of diamond jewellery, it would be a great idea to buy certified diamond jewellery online from anhonourableonline website. Varying from a few hundred to thousands of dollars, you will explore diamond necklaces of dissimilar range. You will also get to explorevariousshapes, styles, and colour while purchasing your diamond necklacefrom an online store. With the boon of technology, now shopping for the diamond necklaces is no longer a rock-breaking task. You can accomplish it without even going out with just a click. There are many stores that give a huge discount and fascinating deals to those seekers who are shopping first time from their online website. And during the festival and holiday month, many online portals come up with extraordinary offers. By purchasing online, you will be able to save money, time and efforts. Sometimes, people invest months to find a stunning diamond necklace. In today’s running life, no one has got time to spend days and months in search of a suitable necklace, so it’s better to shop online. But, if you shop online, then all you have to do is make surethat you are making a purchase only from esteemed stores. Before shopping online, ensure the seller’s reputation. It is actuallyobligatory to keep a tab on the reputation of an online retailer. Reputation is only based on goodservices and products. If the reputation is good, then it is clear that your seller is selling the genuine products of superior quality due to which customers are also happy and satisfied. If the reputation is not good, then feel free to steer clear. For knowing the distributor’s reputation in the market, you can read the client’s testimonials and reviews given by their customers. Reviews are testimonials are an actual illustration of the real reputation of the seller.